3M™ Transparent Duct Tape makes your repair less obvious. 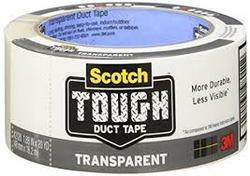 It will not fall apart in extreme temperatures or harsh UV conditions like other all-purpose duct tapes. Makes your repair less obvious.